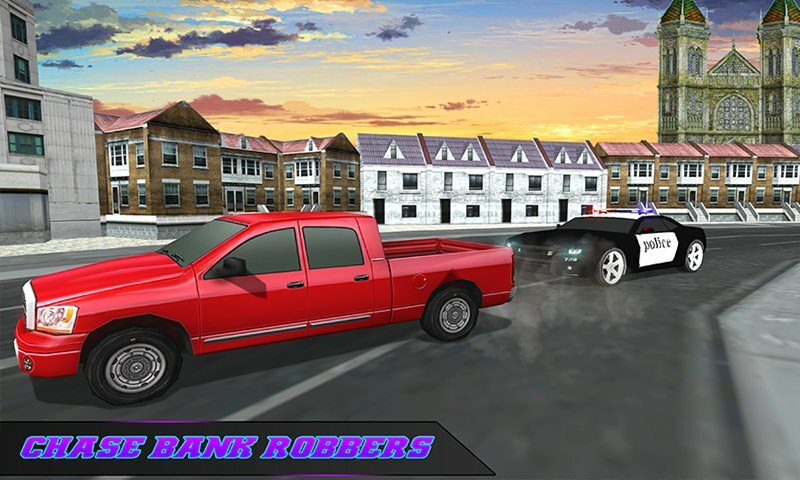 Get ready for the action and shoot the thugs or robbers which are trying to rob the city bank in this Clown Hero Heist City Bank Robbery game. Some decent teens have joined the evil world in order to survive with their high level desires and greed of money. 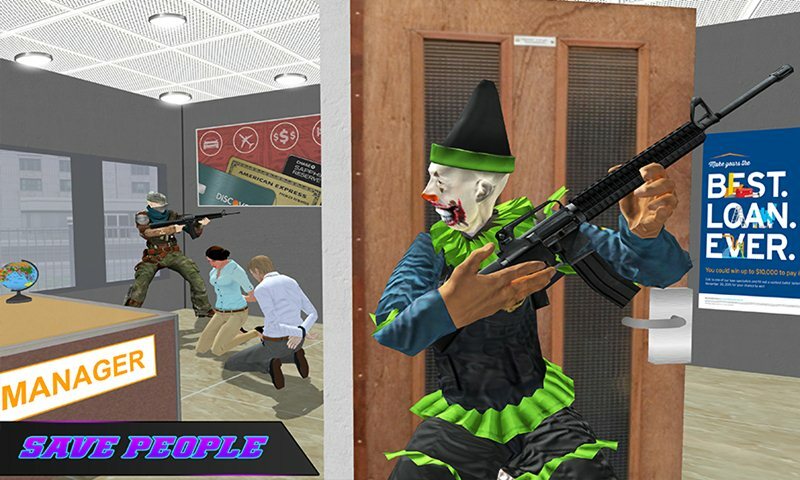 You play this fighting simulator as scary clown squad and save the innocent civilians which are stuck in the city bank. Fight with bank thugs but beware from these dangerous criminals and save the bank hostages. 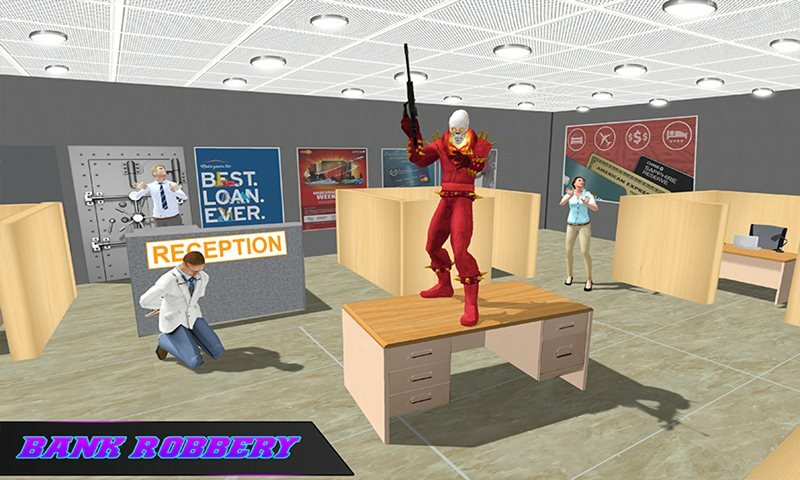 The dark forces enter in the vice city and rob the bank but this time Clown Hero squad stop them to rob the bank in this Clown Hero Heist City Bank Robbery Simulator. Dangerous robbers are well trained as one of the best shooter in the criminal world. Shoot all the bank thugs with the help of classic weapons and save the innocent civilians. 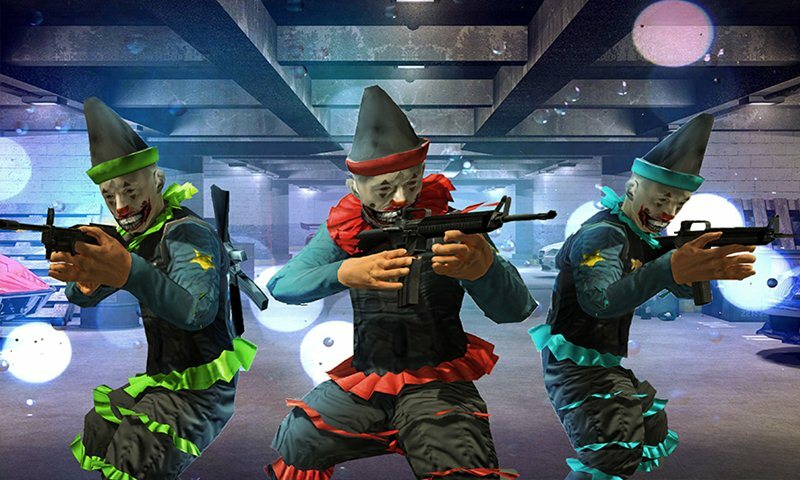 CLOWN HERO HEIST CITY BANK ROBBERY is action game with exciting gameplay where you play as scary clown hero squad and clown squad are shooting the bank robbers & save the civilians. Choose your favorite clown squad member and shoot the thugs with the help of your scary clown allies in this action game. 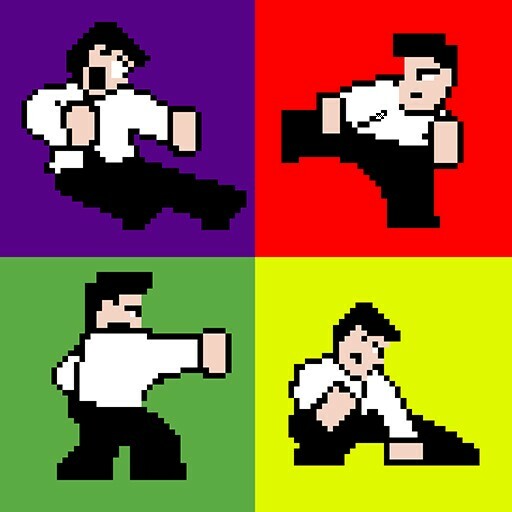 Kill all the muggers and fight with dangerous ghost villain who controls all the illegal activities occur in the city. There comes the city cops due to the brutality of the situation, city cops cannot arrest the bank robbers due to threatened to kill the hostages in the bank. Shoot all the thugs with the help of scary clown allies and lethal weapons. Exciting missions are ready to boom in the gaming world and explore the amazing clown heroes shooting skills in the world. 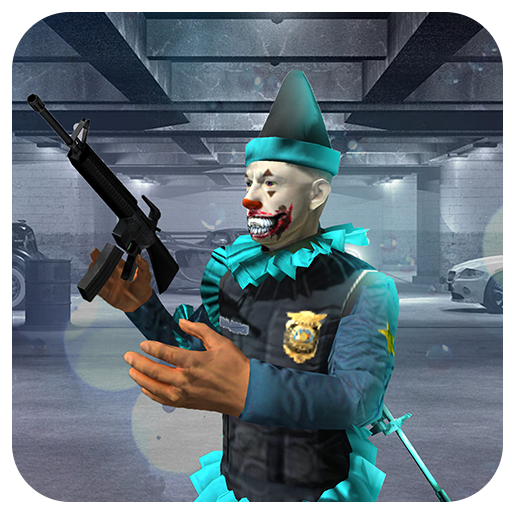 Clown Hero Heist City Bank Robbery is specially designed for all shooting lovers and Clown hero lovers. Take the responsibility of this hostage rescue game and be the hurdle against the heartless gangster escape by finishing the grand city rescue mission. 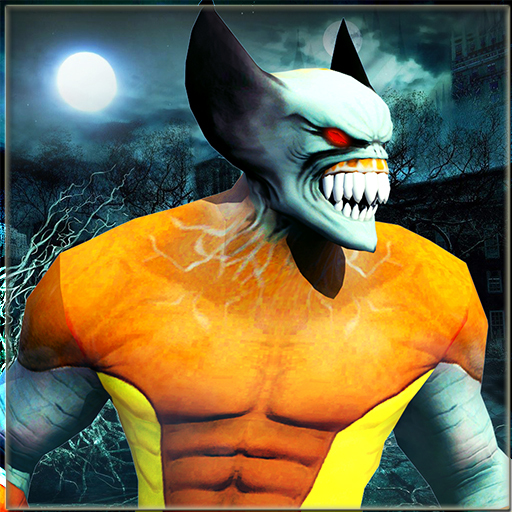 There is no need of catch ghost villains and their crime friends rather you must shoot all of them in this bank heist.